First of all, frameworks give structure to the code and make it organised. In addition, frameworks have multiple pre-built functions and ready solutions, which allow to avoid hundreds of coding lines. This allows to complete a project in a much shorter term. In addition, most frameworks are open-source technologies, which means that they are supported by large online communities (at least the most popular ones), have adopted documentation, and are regularly tested and debugged. A two-way data binding seems to be simultaneously the most appreciated and the most detested feature of AngularJS. On the one hand, it significantly reduces the amount of code needed for the creation of dynamic views; on the other hand, it hurts performance and complicates debugging. Other drawbacks of AngularJS are its slow speed for pages with many interactive elements, complex third-party integration and the complexity of directives API. 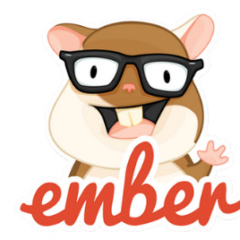 EmberJS is another popular open-source framework used for creating client-side web applications. It has superior performance characteristics and works well with large application ecosystems. EmberJS supports two-way binding and server-side rendering. The major peculiarity of EmberJS is rooted in its guiding principle “convention over configuration”. This means that the framework can automatically infer the configuration and generate the resulting code letting developers avoid much of the routine work. EmberJS minimizes DOM and relies upon dynamic building of HTML document using a fully-fledged templating mechanism. All these advantages come with some obvious drawbacks of the framework. In particular, EmberJS is the heaviest and the most opinionated framework of the three. Its steep learning curve is further complicated by a wealth of outdated tutorials circulating the net and a relatively small community. Despite all these benefits, ReactJS is essentially a library, not a full framework. It is focused on a View in the Model-View-Controller paradigm, while routing, data fetching and state management need to be tackled with the help of third parties. In addition, the absence of templates and the use of Components for the UI generation may be confusing for programmers who do not specialize in React. As it has been mentioned, AngularJS, EmberJS and ReactJS are all good choices for your web applications in terms of communities and support. AngularJS is the most popular of the three, but it is used mostly for single page applications considering some performance reasons. EmberJS is an all-tools-included solution, but it is heavy and takes long to learn, so it is suitable rather for big long-term projects. ReactJS is lightweight and is great for building UI for large-scale dynamic applications, but this solution is not a one-stop-shop and you will have to look for other solutions to use with it. Knowing the peculiarities of each framework, you can decide which will be better for your project. Agiliway has experts and active projects in all the three frameworks and is ready to help you develop your web application using the technology you prefer.